This year, apart from the reindeer races we reported on previously, another race of an entirely different kind took place on Good Friday and Easter Saturday. 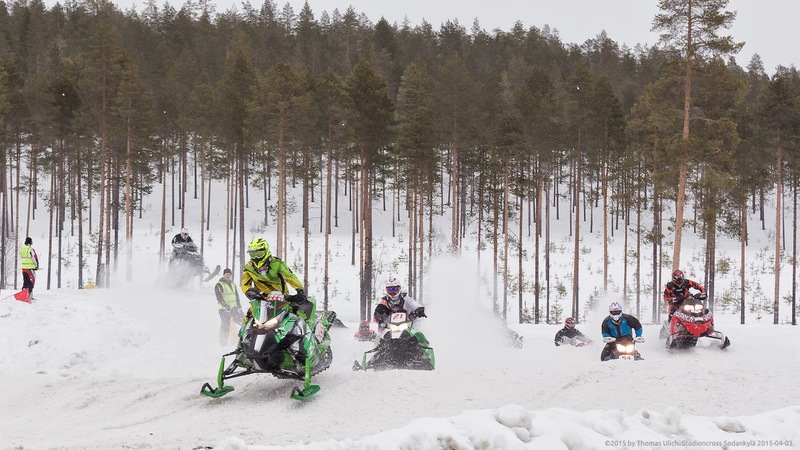 Stadioncross snow mobile races were organised by the Sodankylä Motor Club over two days. On the first day, on which these photos were taken, races took place in the categories of Juniors (11-14 years), Juniors (14-16 years), Ladies, Hobbyists, and Veterans. On the second day, the races were held in the categories Semi Pro and Pro Stock. The photo above shows (left to right, foreground) #666 Niki Kumpulainen, #21 Jesse Bernitz, #54 Jarmo Tanninen and #76 Tuure Säkkinen (category Hobbyists). This year, the races took place on the Sodankylä Horse Racing Track, on which a special track had been prepared. The main feature in front of the audience was a long jump, immediately after which was the finishing line. On this first day, every category had to complete three races of eight laps each. After each race, the competitors were given points equal to their placing in the race. The overall winner is the one with the least amount of points. 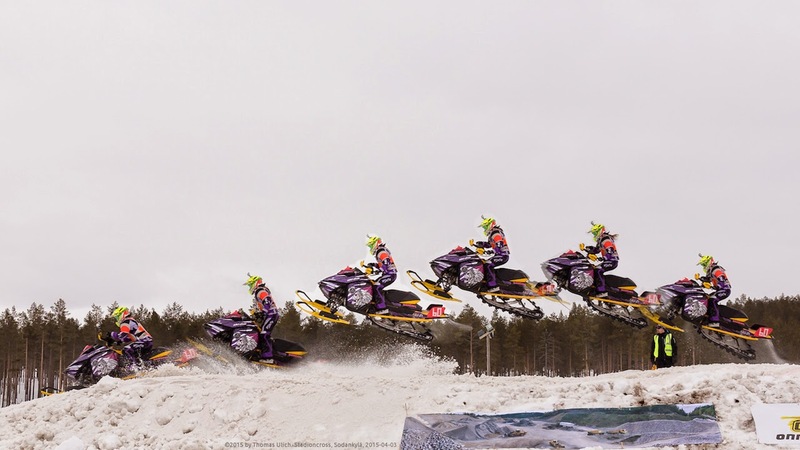 The composite photo above shows a jump of #60 Niina Kallojärvi (category Ladies). 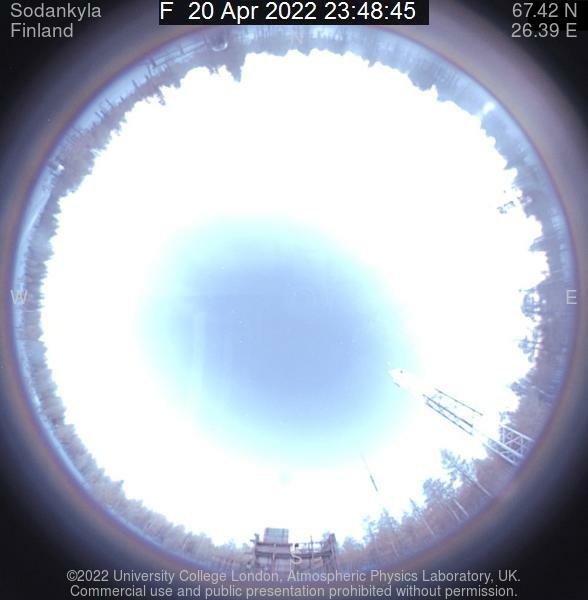 Photos and composite photo: Thomas Ulich. KAIRA is Front Page News!